Check out the Top 10 College Blog list. The blogs were judged based on content, design, relevancy, and accessibility. The Red Chair Blogs include Rants from the Gnarly Beard by John Eccles, vice president and dean of student development; Star Struck by retired chemistry and astronomy professor Dr. Neal Sumerlin; Red Goes Green by McLane Grow ’13, sustainability intern; Holy MOLY by Chaplain Stephanie McLemore and Associate Chaplain Anne Gibbons; Taking Care of Business by Dr. Joe Turek, dean of the School of Business and Economics; Red Wolf Tales by Paul Stern, coordinator of the Outdoor Leadership Program; and Making Sport of Physics, by Dr. Eric Goff, professor of physics. You can sign up for any and all of the blogs by choosing a subscription option on each blog. 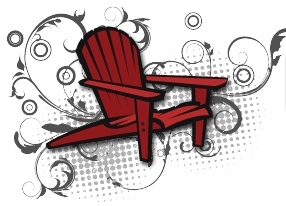 Check them out at http://www.redchairblogs.com/.